A cougar attack on a toboggan hill was thwarted by a mother armed with just a dish towel who rushed to the aid of her seven-year-old boy in northern B.C. 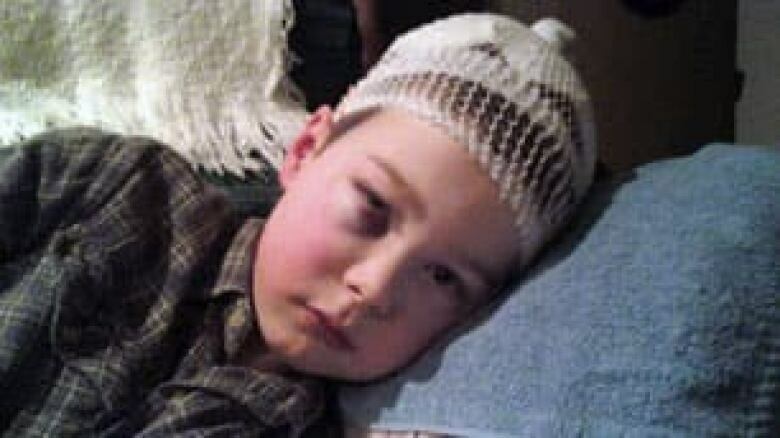 David Metzler Jr. escaped with just a few bruises and cuts to his scalp. ((Courtesy of David Metzler Sr.))A cougar attack on a toboggan hill was thwarted by a mother armed with just a dish towel who rushed to the aid of her seven-year-old boy in northern B.C. David Metzler Jr. was tobogganing on Thursday near Danskin, B.C., about 1,000 kilometres north of Vancouver, with his sister when the cougar started mauling him. "I looked out the window … the cougar was already on top of him," said the boy's mother, Mary Metzler. "It had its mouth on Davey's head." Metzler ran out of her house with only a dish towel in her hand and used it to swipe at the cougar. "It dropped Davey's tuque [from its mouth]. It looked at me eye to eye and then it turned and ran," the boy's mother said. Conservation officer Gary Van Spengen said the boy's mom likely saved his life. "Because she was closely supervising her kids she was able to get out and, relatively quickly, she actually ran out and flicked the cougar on top of the head with a towel," he said. Spengen said that move stopped the attack. "It could have been that moment where the cougar realizes there's too many variables to finish the attack, and it left the area immediately," he said. "My son said to me … 'Mama, I didn't even have time to pray when I was under that cougar.' He said he thought to himself, 'this is the end of me,'" Metzler said. The cougar that attacked David Metzler Jr. was found on Friday and killed as a precaution. ((Courtesy of David Metzler Sr.)) David was rushed to Burns Lake hospital where cuts to his scalp were closed with 22 stitches. He was released and back at school on Monday. "I'm sure he's gonna have a great tale to tell once he heads into school," Spengen said. 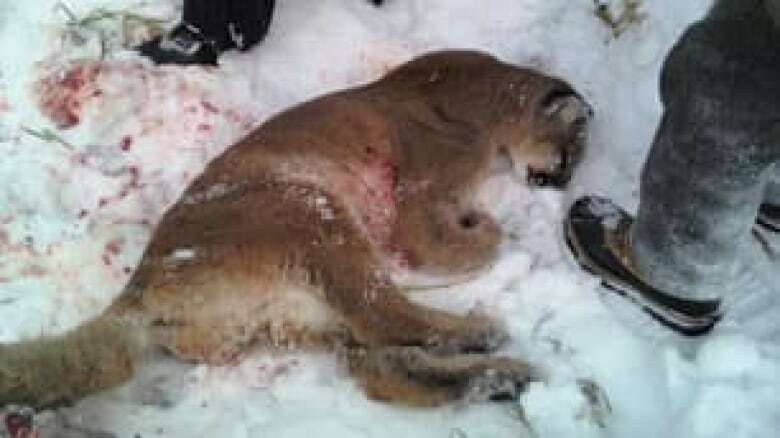 The cougar and another cat were both killed the next day as a precaution. There was also another cougar attack in B.C. in the past week. On Saturday, an 11-year-old boy from Boston Bar, B.C., escaped without injury when his golden retriever stepped between him and a charging cougar. The cat was shot and killed on scene by an RCMP officer.